NB: All participants are hereby advised to submit an authorised registration form before the due date for this event. team key roles are most needed in organizing and releasing information on Company’s Crisis moments, exhibitions, road shows, new business ventures and many other Company’s events, above all they are expected to be tactical-oriented and strategic in handling all media related issues. In times of company crises such as Addressing the angry mob on Labour and Wage Disputes, Sporadic interruption of Services ,Key employees Demotions or Dismissals, Employees Strikes, Company Bankruptcy, Recession, Company liquidation and so on and so forth, it is the Public Relations and Communication professionals who gets on a frontline and turns around the situation in favour of the company. The practice of corporate reputation management raises many ethical questions and ignoring them incubates reputation crises and discredibility. Thus, it is vital that your organization fosters a good reputation by developing mutually beneficial relationships with various publics. This PR and Strategic Corporate Communication Professionals Workshop is a capacity training program with high credentials which will grant you new insights and perspective. It is a comprehensive and practical course that has been designed to boost and sharpen your communication and media relations skills to strike a chord with the expectations of your organization’s stakeholders and various publics. You will also be taken through various case studies and practical exercises to further enhance your learning experience. To register please contact +27(011) 044 4371 or email: info@mpkglobaltrainingcorp.co.za. Today commercial managers fills a non-technical business-oriented position within a company. Their main function to oversee revenue and expenses used to create financial returns mostly is done through policy-level work, creating rules or practices to determine the steps that the business takes when conducting commercial business. commercial managers often fills several sub-roles depending on the size of the company. Some of these can include individual sales responsibilities, marketing, contracting, negotiating, financial administration, contract laws, and even property management. In a smaller companies, it is likely that the commercial manager fulfils pieces of all of these responsibilities; in a larger company, it is more likely that a commercial manager oversees others that specialize in these roles or limits their specialty to specific areas while other staff handle remaining roles. It is imperative that Commercial Managers, Financial Administrators, Procurement Managers, Marketing Managers, Sales executive Managers and other Senior administrative Managers obtains some kind of secondary skills in this area, as well as a large amount of experience and continuous assessments in areas such as market research , interpersonal communications skill, the ability to negotiate, and the ability to make decisions effectively. They must also be able to understand all aspects of the company and its operations so that the requirements of up and down-stream customers may be satisfied as effectively and cost efficiently as possible. Financial professionals are required to prepare and present their financial records in an acceptable and transparent manner by law. International Financial Reporting Standards (IFRS) is a set of accounting standards developed by an independent, not-for-profit organization called the International Accounting Standards Board (IASB). The goal of IFRS is to provide a global framework for how public companies should prepare and disclose their financial statements. IFRS provides general guidance for the preparation of financial statements, rather than setting rules for industry-specific reporting. Having an international standard is especially important for large companies that have subsidiaries in different countries, adopting a single set of world-wide standards will simplify accounting procedures by allowing a company to use one reporting language throughout. A single standard will also provide investors and auditors with a cohesive view of finances. 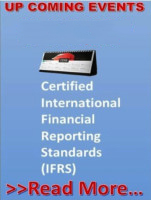 This Certified International Financial Reporting Standard is an AAI FM (The American Association for Investment and Financial Management) program which has been designed to sharpen anybody in the finance and administrative fields and provide them with tools on how to interpret and present the financial information. Financial Executives with their subordinates facing expansion workloads, shifting priorities, complex organizational dynamics, organizational restructuring and increased uncertainty will definitely fit this program and assist them to apply the learnt objectives immediately at their working places. Participants will gain a distinct advantage in employment and promotional opportunities over their peers, they will also walk away with a personal action plan for their continued development as Certified (IFRS) professionals. In order to lead well, you must communicate well through your words, your demeanor, and your image. Practically you need to discover how to strategically connect and interact with managing members at all levels on a richer, deeper, more inspiring and satisfying level. Become more attuned to others and as a result, foster more loyal and committed relationships with your direct reports. Gain the skills to motivate your team or department. This intensive 5-days training workshop combining proven-in-action techniques with peer interaction and research insights will help you master the competencies of effective modern leadership. Find out how to communicate your vision and create an action plan, discover how to use your power and influence to achieve goals, build alliances across departments, Stakeholders and the public at large. Plus, establishing strong working relationships and empower your team or department. ​To register please contact +27(011) 044 4371 or email: info@mpkglobaltrainingcorp.co.za. 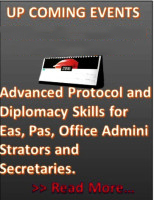 The Advanced Modern Executive Secretaries and PAs Including Protocol and Diplomacy capacity training workshop focuses on equipping Executives, Public relations Managers and Office professionals at higher levels with necessary professional skills to do their job effectively, Contribute to their superiors and organization’s success. This practical training course will take you through a series of one-on-one discussions amongst the participants with the aid of an instructor, demonstrations and case studies that will enhance your learning and illustrate in-depth how to best your modern PA and advanced Managerial skills. The role of Modern Executive Secretaries and PAs professionals has become more involved and pivotal in most organization’s operation. Effective Executive Secretaries and PAs Including Protocol professionals team key roles are most needed on various companies’ higher roles to strike a chord with the expectations of the organization’s stakeholders and various publics, thus it is vital that your organization fosters a good reputation by developing mutually beneficial relationships with various publics. As companies grow, change and reorganize, it is important to re-evaluate the roles and responsibilities of both the internal and external teams. Although selecting the right PR team can be time-consuming, a winning PR team can help cultivate a positive company image and successful business. The role of Public Relation and Communications’ professionals has become more involved and pivotal in most organization’s operation .Effective PR and Communications team key roles are most needed in organizing and releasing information on Company’s Crisis moments, exhibitions, road shows, new business ventures and many other Company’s events, above all they are expected to be tactical-oriented and strategic in handling all media related issues. In times of company crises such as Addressing the angry mob on Labor and Wage Disputes, Sporadic interruption of Services, Key employees Demotions or Dismissals, Employees Strikes, Company Bankruptcy, Recession, Company liquidation and so on and so forth, it is the Public Relations and Communication professionals who gets on a frontline and turns around the situation in favor of the company. The practice of corporate reputation management raises many ethical questions and ignoring them incubates reputation crises and discernibility. Thus it is vital that your organization fosters a good reputation by developing mutually beneficial relationships with various publics. 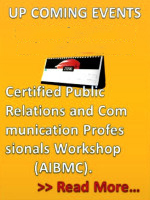 This certified Public Relations and Communication Professionals is a capacity training program with high credentials which will grant you new insights and perspective. It is a comprehensive and practical course that has been designed to boost and sharpen your communication and media relations skills to strike a chord with the expectations of your organization’s stakeholders and various publics. You will also be taken through various case studies and practical exercises to further enhance your learning experience. Project managers and their team bear ultimate responsibility for making things happen. Traditionally, they carry out roles as mere implementers. To do their jobs they need to have the necessary administrative and technical competencies. Today they play a far broader role, in addition to the traditional skills; they need to have business and management skills, customer relations skills, and political skills. Psychologically, they must be RESULTS-ORIENTED, SELF-STARTERS with a high tolerance for ambiguity because little is clear-cut in today's tumultuous business environment. Shortcomings in any of these areas can lead to project failure. The role of the project management team is one of great responsibility in the organization, the project manager's job is to direct, supervise and control the project from beginning to the end ,though today they are required to get involved in carrying out project works – for managing the projects alone is not enough. Providing good customer service is a vital part of managing a business. 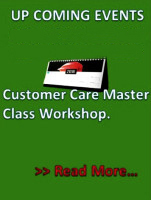 Most customers have the option to go elsewhere if the quality of customer service is lacking. On the other hand, superb customer service is a source of competitive advantage which also incorporates the varying wants of stakeholders to be appeased. Excellent customer service leads to customer satisfaction. Due to its front line nature, bad customer service can severely damage the reputation of the company’s business, It does not matter whether the nature of the business is of a global or a cozy little sidewalk café in the countryside. Customer service matters, regardless the nature or the size and location of the business, besides, it is people you are dealing with; individual beings, each with their unique personality, temper and mannerisms. Hence, you need to be aware to whom you are talking to and in which situation, and adapt your approach accordingly. This practical training program seminar on providing excellent customer service enhances you the professionalism you need to portray when dealing with clients, gain respect, attentiveness, Communicate boldly and effectively, enhance customer relationships, negotiate and secure mega sales deals, express polite persuading skills, Ability to read customers, ability to be a target oriented person, time and stress management skilled, Knowledge of product, Tenacity and advantage through excellent customer service with the aid of the facilitator and video samples. The administrative and operational support you provide to your organization as a generalist is very vital, in an ailing, deflationary, unstable economy jack of all trades are most needed usually at the direction of the executive level to turn around company’s crises in such a way that the varying needs of stakeholders may be appeased, this includes formulating policies, managing daily operations, planning the use of materials and human resources, though they are too diverse and general in nature to be classified in any other functional area of management or administration, such as personnel, procurement etc. To do all of these you need to be tactical-oriented and have strategic insight, and be able to innovate comprehensive processes, be result orientated in order to achieve your company’s goals and objective successfully. This workshop will enable every participant to know methods to design, analyses, restructure, optimize and function control of modern companies and addresses the key elements that forge the effective operations management of an organization's limited resources which are the Sam-e principles hold whether the organization manufactures a product or provides a service, operates in the public or private sector, or is profit or non-profit oriented. Participants will then learn problem-solving methods through analytical and computational techniques and discover effective techniques to handle challenging office politics, operations Management as well as identify and select the appropriate office management styles that will work for them. As the organization grows and reaches its peak period there is a dire need of primary and support to be incorporated in such a way that the varying needs of stakeholders may be appeased. 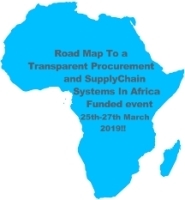 In a nutshell, an effective Procurement department team holds quite a number of responsibilities in the organization; this will include preparations and monitoring of Company logistics, Quality Assurance, analyzing and preventing fraudulent transactions, and play a role as generalists particularly in management. The procurement department needs to comprehend fully the core of the business management system tasks such as Strategic forecast planning, organizing, leading and controlling, and also fully understand the management functional in areas such as Marketing, HR operations, Risk analyzing, Finance, Sales and so on. The most important keys of an effective and efficient Procurement department lies in’ intelligence and ability in integrating all the aforementioned logistic activities, the five management tasks and various Management functional areas, so that the requirements of up and down-stream customers may be satisfied as effectively and cost efficiently as possible. As an organization can use procurement management system to differentiate itself against its competitors and use such unique attributes to obtain a competitive advantage, effective procurement management system can lead to reduced costs, improved sales, increased product and service quality, higher profits and as importantly enhanced stakeholder relationships. As an effective procurement officer whose major responsibilities and objectives is to apply unique attributes to gain competitive advantage, reducing costs, escalating sales, service quality, identify and prevent fraudulent transactions risks and as importantly enhance stakeholders relationships, this workshop will consist quite a number of videos and practical examples to assist you in identifying methods to build your skills and improve your overall performance in the work place. You will discover effective techniques to handle usual and unique challenges in supply chain management as well as fraudulent analytic situations within the department and be able to select which methods would work for you, and to work with minimum or no supervision. The role of today’s Finance Investigating teams, Compliance executives, Anti-corruption officers and other financial crime professionals involves much more responsibility, skill and knowledge than ever before. Anti-money laundering Management program is an essential component of every financial institution’s compliance regime. The primary goal of this intensive 5 days training program is to protect the organizations against money laundering, Fraud and corruption, and ensure that the organization is in full compliance with relevant laws and regulations. For that reason, designing, structuring and implementing this program’s learning objectives should be the top priorities of any institution In the high-profile corporate scandals and in light of new laws and regulations. Executives are increasingly aware of the need to create policies, programs and controls to address fraud and misconduct while acknowledging that there is a lot more approach which need to incorporate strategic risk management on fund movements, this program will pinpoint leading practices that organisations ought to generally find to be effective when building their compliance and related antifraud systems within the organization. It will also offer strategic insights for aligning organisational values with high performance. Diplomatic protocol and etiquette is used as a tool for the mutual communication in order to minimize the possibilities of “DIPLOMATIC BLUNDERS” as much as possible. 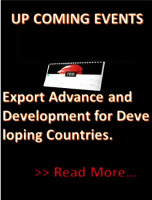 “The customs and regulations dealing with the ceremonies and etiquette of the diplomatic corps is about following correct procedures, It is the art of ensuring that officials and nonofficial occasions, visits, meetings and functions are planned and conducted in accordance with a set of rules that are formally, socially and culturally accepted and expected by the parties involved. A state ceremony is the official public act with official characters that progresses with the established rules and procedures. With each ceremony there are master of ceremonies who makes sure that the ceremony ends in the way it is expected. There are various forms of ceremonies such as public state ceremonies, state funerals, the singing of the national anthem, opening up a public building or unveiling a plaque, presentation of awards ceremonies, and many other national events .during ceremonies the representatives may need to provide a speech and introduce a few rules before the presentation of a ceremony. At the beginning it is a host who gives a voice and his or her speech is typically very short and its aim is to welcome the guests and provide the aim of the event. Next in order is the office held by the honorary guests. For the whole of these to work in accordance parties involved ought to possess diplomatic, Etiquette and strategic communication skills. ​Surveyors, Mine Captains, Geologists, Geological Engineers ,Geotechnical Engineers, and Mining Engineers visually reconcile production and resource models with Grade Control tools, they have to Correctly configure an ore control database for optimum performance, advanced preferences for robust functionality, Calculate reserves on blast holes, production block models and resource models upon of which they have to generate plots of ore control information, approximate an efficient mine design with stope optimization tools, generate several scenarios that consider established economic and mining parameters. 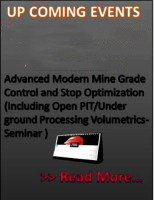 They then ought to possess knowledge on how to configure stope frameworks to fit various mining methods, generate stope design strings, triangulation solids reserve reports and practically apply stope naming convention to reduce post-processing time as well as plan and reserve a productive stratigraphic underground mine and illustrate how to analyses existing geologic grids to clarify mining decisions and quickly generate solids of mining blocks, formulate detailed reserves reports and level plots , apply basic I-Site knowledge to easily analyses scanned structures, apply tips for advanced use such as modelling overhanging structures or updating drives with new scan data, apply a photograph to scanned data for quick identification of geology, geologic structures or infrastructure. To execute all of these activities Surveyors, Mine Captains, Geologists, Geological Engineers, Geotechnical Engineers, and Mining Engineers ought to have knowledge on Mine Grade Control and Stope Optimization Including Open PIT and Underground Processing Volumetric of which any shortfall of these competencies results in a lot of Project Blunders which yields in massive risks, loss and waste rock (dilution) to the mining industries. This 5 days intensive training workshop will take you through all the necessary competencies Surveyors, Mine Captains, Geologists, Geological Engineers, Geotechnical Engineers, and Mining Engineers need to possess for the smooth running of the organization’s Mine Grade Control, Stope Optimization and Open PIT/ Underground Processing Volumetric projects and walks away with an action plan for your continued practice and apply the learnt objectives immediately at your work place. Agricultural production business plays a very huge role in the economic upliftment of various sectors, as the demand grows and agricultural business reaches its peak period there is a dire need of your organization to foster a very good relationship with stakeholders and various publics to enhance and keep its high performing level in all its corners of operations such as Company logistics, Quality Assurance, Strategic forecast planning, organizing, leading, controlling, and also fully understand the Modern Agribusiness management functional in Product Branding and Marketing, Operations, Risk analyzing, Finance, Costing and pricing, Sales, Import and Export of Agri-produce and so on. 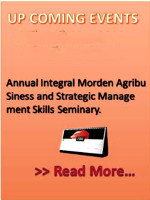 The most important keys of the effective and efficient Agribusiness strategist Managers lies in’ intelligence and ability in integrating all the aforementioned activities Modern Agribusiness Management functional areas requires so that the requirements of up and down-stream customers may be satisfied as effectively and cost efficiently as possible. ​​To register please contact +27(011) 044 4371 or email: info@mpkglobaltrainingcorp.co.za. 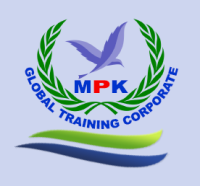 MPK Global Training Corporate (Pty) (Ltd) is a level 1 registered Vendor for United Nations Global Market (UNGM) for Corporate Training and Consulting Services Number: 459553, South Africa central supplier Data base for government Supplier Number: R0013425591 ,with American Centre of Certification (ACC) a sole licensee of Sales and Marketing Certification Institute (SMCI), American Institute for business Management and Communications (AIBMC), American Association for Investment and Financial Management (AAIFM) and earns CPD point. Copyright 2005 © MPK Global Training Corporate. All rights reserved.